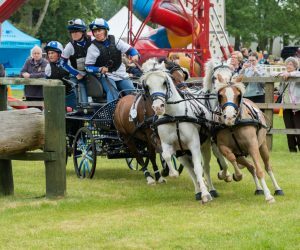 A presentation by Sara Howe, who runs Bradbourne Carriage Driving Centre in Sevenoaks. She has been a top international carriage driver since 2003, representing Great Britain as a team member in 7 World Championships and is a bronze medal winner. This is an opportunity to hear about the history and drama of the sport.